Thanks for this, Janet. It never occurred to me to open a separate bank account for royalties, or a separate email address for each Kindle title. As for formatting, I thought about trying to format my file myself, too, and some people are tech-savvy enough to do it, but me? Not so much. One more thing: I was wondering if you'd considered doing a print version of these books? Dear Laura: If you're not on a launch deadline, you could try formatting your file yourself...and then just don't tell anybody about the eBook until you've uploaded it successfully (which might happen on the first try or take 10 attempts). If it doesn't go well, you could always hire someone later (but I read a post in the Kindle forum from someone who had trouble with this approach; somehow that "bad version" got stuck in the Kindle store for a while). Reminder: if you upload a version that you might want to edit in the near future, or that is likely to have some glitches, you might want to buy and read the book on a friend's Kindle and not your own, because it can sometimes be hard to replace one purchased version with a later version of the same book. 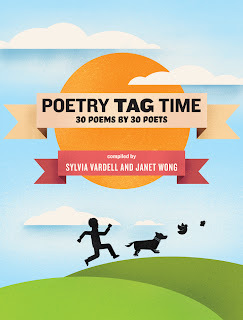 About print versions: I don't think any publisher could do a print version of PoetryTagTime for less than $3 (which is the maximum that we'd be willing to charge for that book). And given the conservation theme of Once Upon A Tiger, it would feel odd to ignore the environmental impact of printing and shipping paper versions. So they'll likely stay eBooks forever!